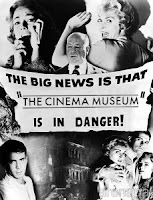 The experience of discovering a film can be wonderful. Some of my favourite films are films I have seen without prior knowledge of our raised expectations. I was aware that it had done well at Cannes the same year that Un Prophete won (it won the Special Jury Prize in the Un Certain Regard section) and that it was about the music scene in Iraq. With that in mind I made my way to a screening of “No One Knows about Persian Cats”. What’s it all about? The story follows the recently released from jail and talented Negar (Negar Shaghaghi) and Ashcan (Ashkan Koshanejad) as they plan to leave Teheran and play a concert in London. Their quest puts them in touch with Nader (Hamed Behdad) - a fast talking and hilarious fixer that guides them through the underground music scene of Teheran. While the palpable possibility of failure and incarceration hanging over their heads. As the story unfolds there is a wavering balance between awe at the musical talent on screen and uncomfortable dread that things could all fall apart. What’s it like In the first couple of minutes of No One Knows about Persian Cats I was immediately struck by the similarity in its cinematic style to the raw 60s French new-wave cinema. Not only its Cinéma vérité handheld camera style, fresh editing, real dialogue, real locations and regular use of characters in transit. For me the similarities didn’t end there. Persian Cats evoked the same feeling in me that Goddard or Truffaut’s films brought to the fore when (much in the same way Persian Cats reveals a hidden Tehran and its people) they exposed me to a world and culture so different from my own. 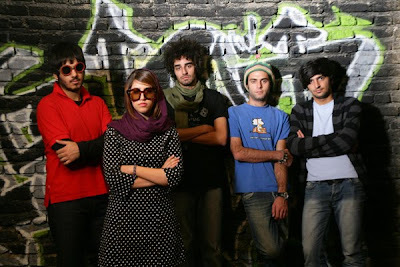 However where Godard's maxim is "all you need for a movie is a girl and a gun", Persian Cats director Bahman Ghobadi’s approach is more all "all you need for a movie is a girl and music" as he explores the underground music scene in Iran showcasing what must be some of Tehran’s best unknown bands. 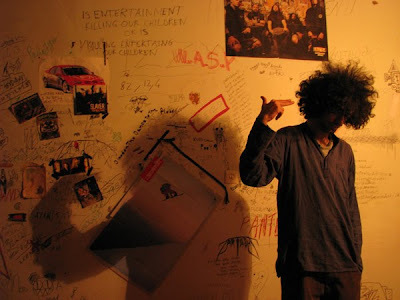 The comparison between Goddard’s gun device and music is intentional as we find out that for over 30 years the Iranian government has banned certain types of music deemed as impure, forcing many fans of Iranian alternative music and western bands to go underground. At this point we shift into guerrilla D. A. Pennebaker style music documentary and we are introduced to different musicians each representing a different music style such as indie rock, progressive rock, Jazz and Electric Blues, Farsi death metal, Iran street rap, and traditional Persian music. 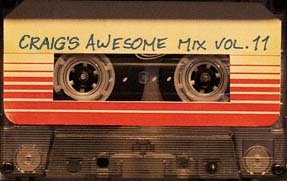 The soundtrack is mesmerising and it’s worth owning. You can sample the music and read a review of the Soundtrack over here on BBC Music. Background No One Knows about Persian Cats was Produced written by American born Iranian journalist Roxana Saberi. She was sentenced to an 8 year jail spell for “spying for America”. Eventually her sentence was reduced and she was released. Her experience permeates through Persian Cats. The Director Bahman Ghobadi (A Time for Drunken Horses, Turtles Can Fly) is an award-winning Director whose films are rarely seen in his own country. At the beginning of the film we are told that it’s based on real people, real locations and real events and that really hit home when I found out that Persian Cats was made without permission or “official permits”. My understanding is that after he has shown Persian Cats to the world Ghobadi will not be returning home. His love of music makes each musician’s scene a joy to experience. The lead actors do have a band and it's called Take It Easy Hospital, they live in London having fled their homeland. The talented musicians are undoubtedly the stars of Persian Cats. 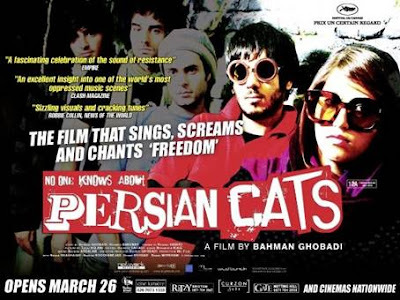 If you are a fan of world cinema, Middle Eastern or just good music, then No One Knows about Persian Cats is a must-see. However Persian Cats’s greatest strength, the chance to gain some insight into a little known or seen culture, may also possibly be its greatest weakness. Its lack of pandering to western audiences may make it less accessible than more crowd-pleasing fare. In case you are wondering, (as I was) in the clip below Vincent Maraval expains where the title came from as well as gives some insight into No One Knows About Persian Cats. Apologies for the sound quality.